Northern Ireland triathlete Aileen Reid had to settle for 27th place in Sunday's ITU Olympic dress rehearsal event in Rio. Reid finished five minutes and 10 seconds behind American winner Gwen Jorgensen as the Londonderry woman struggled during the closing run. 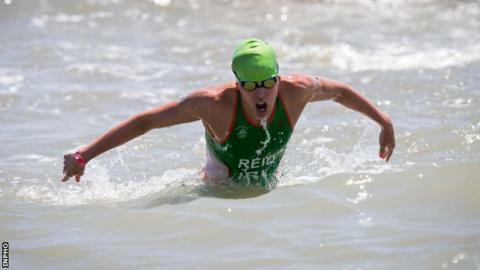 The Irish triathlete was in the lead group during the swim and bike legs. Reid, 33, missed the recent World Series event in Hamburg because of a chest infection. Jorgensen finished ahead of Britons Non Stanford and Vicky Holland. The in-form American was 19 seconds ahead of Stanford with Holland a further 22 seconds back in third. "Not so fussed about the run and result this time. Just glad to be healthy again," said Reid on Twitter after Sunday's race.